The BADS is aimed at predicting everyday problems associated with the dysexecutive syndrome. Dysexecutive Syndrome includes disorders of planning, organization, problem solving, setting priorities, and attention and is one of the major areas of cognitive deficit that can impede functional recovery and the ability to respond to rehabilitation programs. Authors: Barbara A Wilson, Nick Alderman, Paul W Burgess, Hazel Emslie and Jonathan J Evans. Authors: Joseph M. Tonkonogy, M.D., Ph.D. The CCTT is firmly rooted in child development and maturational theory, developmental neuropsychology, and child neurology. The salient features, color and number, were chosen because these characteristics are easier than letters for children to process and recognize. The CVMT uses complex, ambiguous designs and a recognition format to measure visual learning and memory. The clinical sensitivity of the CVMT has been demonstrated in patients with unilateral right hemisphere cerebral vascular accident (i.e., stroke), individuals with Alzheimer’s disease, and patients who have suffered severe head trauma. Available in South Africa from Innovact. ImPACT (Immediate Post-Concussion Assessment and Cognitive Testing) is a web-based test developed in the USA to facilitate the management of sports concussion. The test is the most commonly employed instrument of its type world-wide amongst professional as well as high school contact sports players, and is the only test for this purpose that is registered with the HPCSA for clinical use in South Africa. Within the South African environment, Prof. Ann Edwards and Dr. Vicky Alexander will arrange for clinicians to access the ImPACT web-based test, and assist new test users with its administration and interpretation in the initial stages. This test is aimed at individuals 15 years and older. It takes approx. 1.5 to 2.5 hours to administer. It is hand-scorable or scorable using software (which requires DOS). There are two equivalent forms (Form I and Form II). 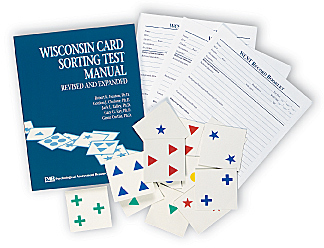 Although both forms yield similar information, Form II features improved stimulus cards that are easier to use and includes one additional scale, Intermediate Memory, which permits a more detailed memory assessment. Form II is computer scored only. The following is assessed using this test: Motor Functions; Rhythm; Tactile Functions; Visual Functions; Receptive Speech; Expressive Speech; Writing; Reading; Arithmetic; Memory and Intellectual Processes. Available in South Africa from JvR and Partners. This test is for persons aged 18 – 80 years. It is a test of adult psychopathology. This test of personality and psychopathology was published in 2008. It is a self-report questionnaire consisting of 338 test items for the age range of 18 years and older, with a grade 5 reading level. The test is available in a pencil-and-paper and computerised version and takes approximately 35-50 minutes to complete. The MMPI-2-RF normative sample is drawn from the MMPI-2 normative sample; no new norms were collected for the MMPI-2-RF. Assess major symptoms of psychopathology, personality characteristics, and behavioral tendencies. Evaluate participants where substance abuse is concerned. Assess medical patients, including for chronic pain management. Provide insight for marriage and family difficulties. Help make decisions in criminal justice and correctional settings. Give empirical foundation for expert testimony in forensic evaluations. 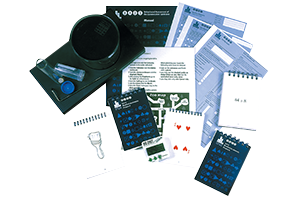 The NAB® is a comprehensive, modular battery of 33 neuropsychological tests developed to assess a wide array of cognitive skills and functions in adults (ages 18-79 years) with known or suspected disorders of the central nervous system. The NAB was developed with the overriding goal of providing a common set of core tests that serve as a comprehensive standard reference base suitable for most routine clinical applications that can be completed in less than 4 hours. This is a quick and convenient way to screen adults for neuropsychological symptoms. This brief self-report questionnaire addresses both global impairment and specific symptom areas, eliciting diagnostically relevant information that might otherwise go unreported. The NIS brings up symptoms that patients often fail to mention in a clinical interview. The test’s subscale scores are: Cognitive efficiency; Attention; Memory; Frustration Tolerance; Learning-Verbal; Academic Skills and Critical Items. An alternative version of the assessment, the Observer report, can be completed by a relative or close friend, providing a different perspective on the person’s symptoms. 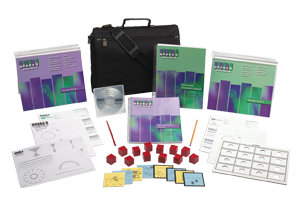 The PPVT-4 scale is a norm-referenced, wide-range instrument for measuring the receptive (hearing) vocabulary of children and adults. 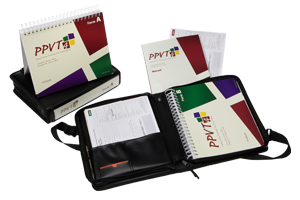 Enlarged and colorized, this PPVT edition is available in two parallel forms (Form A and Form B) that are administered individually. 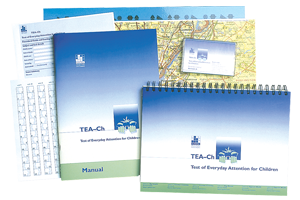 Each form contains training items and 228 test items, each consisting of four full-color pictures as response options on a page. For each item, the examiner says a word, and the examinee responds by selecting the picture that best illustrates that word’s meaning. The QNST-II includes the latest research findings concerning the soft neurological signs that may accompany learning disabilities. The test alerts special education professionals to physical problems – in dexterity, visual tracking, spatial orientation, tactile perceptual abilities, and motor skills – that often co-occur with learning disabilities. Raven’s Progressive Matrices enjoy a long and famous history in the assessment of general cognitive abilities in children. The Progressive Matrices usefully provide an assessment of non-verbal ability, an important feature for ethnically diverse populations. It is a measure of deductive ability – the ability to make sense and meaning out of complex or confusing data; the ability to perceive new patterns and relationships, and to forge (largely non-verbal) constructs which make it easy to handle complexity. Available in South Africa from Mindmuzik Media. The Rey 15-Item test is a test designed by Rey (1964) to detect malingering. The test is in the public domain. Readers can reproduce the tests using descriptions given in texts such as Lezak, et al. (2012) and Strauss, et al. (2006). Subscribers to NeuropsychologySA can also access the test, including the administration and scoring instructions here. Lezak, M. D. (1983). Neuropsychological Assessment (2nd ed.). New York: Oxford University Press. Rey, A. (1964). L’examen clinique en psychologie. Paris: Universitaires de France. Strauss, E. S., Sherman, E. M., & Spreen, O. (2006). A Compendium of Neuropsychological Tests: Administration, Norms, and Commentary. Oxford: Oxford University Press. The RCFT measures visuospatial ability and visuospatial memory. The RCFT standardizes the materials and procedures for administering the Rey complex figure. The Recognition trial measures recognition memory for the elements of the Rey complex figure and assesses the respondent’s ability to use cues to retrieve information. Stroop results can be used in the diagnosis of brain dysfunction and in the evaluation of stress, personality, cognition, ADHD, and psychopathology. Because it is brief, requires very little education, and is not culturally biased, this unique test is an ideal way to screen for neuropsychological deficits. In just 5 minutes, the SNST briefly assesses cognitive processing and provides valuable information on brain dysfunction, cognition, and psychopathology—all of which affect an individual’s ability to cope with cognitive stress and process complex input. Results may highlight the need for more specific testing. 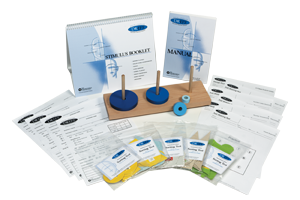 The Symbol Digit Modalities Test (SDMT) is used to assess divided attention, visual scanning, tracking and motor speed. This test may be reproduced using the information provided below. Alternate forms by Hinton-Bayre and Geffen (2005) are available and psychologists have permission to make their own by copying the forms on page 622 of the book, “A Compendium of Neuropsychological Tests” by Strauss, et al. (2006). According to the authors, the forms must be printed on A4 sized pages. The forms must be photocopied and enlarged so that the information under the forms (the form and copyright information) does not show. Norms for the original version of the SDMT can be found in Strauss, et al, (2006). *Strauss, E, Sherman, E.M.S, & Spreen, O. (2006). A Compendium of Neuropsychological Tests: Administration, Norms and Commentary. Oxford University Press, New York. This test is for persons aged 18 years to 80 years. It measures selective attention, sustained attention and attentional switching. This test is for childern and adolescents aged 6 – 16 years. It measures different attentional capacities. Children with acquired and developmental problems often exhibit impairment in executive planning. 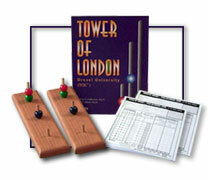 The TOLDX 2nd Edition measures higher order problem-solving ability. The information it provides is not only useful when assessing frontal lobe damage, but also when evaluating attention disorders and executive functioning difficulties. This new edition includes a Stimulus-Bound score that is particularly useful when assessing older adults. The score is rarely produced by healthy older adults, but, when apparent, suggests significant cognitive impairment consistent with dementia or seriously compromised frontally mediated executive control. New normative data for older adults is also included in the 2nd edition, along with recent research findings. The Victoria Stroop Test (VST) is a test of cognitive flexibility and inhibition, both executive functions. The test is in the public domain and can be accessed through texts such as as Strauss, Sherman, & Spreen (2006). Subscribers to NeuropsychologySA can access the test, including the stimulus cards and instructions for administration and scoring here. In recognition of emerging demographic and clinical trends, the WAIS-IVSA was developed to provide clients with an advanced measure of cognitive ability. The WAIS-IVSA is a comprehensive measure of adult intelligence can be used for a variety of psychological purposes from qualification for special services to identification and treatment of psychological disability. This test is for persons aged 16 years – 90 years and 11 months. The test measures verbal and non-verbal memory abilities in adults. 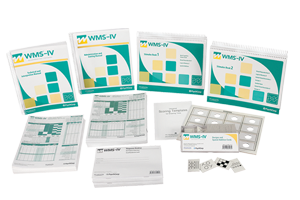 The WMS IV was co-normed with the WAIS IV. This test is a nonverbal measure of ability especially designed for culturally and linguistically diverse groups. It is ideal for psychologists who need a nonverbal measure of ability for individuals who are not English-language profficient, or have other language considerations. It is designed for linguistically diverse populations. Innovative pictoral directions make administration easy and effective. This test is for children aged 2 years 6 months – 3 years 11 months and 4 years – 7 years and 3 months. It measures intelligence in young children. 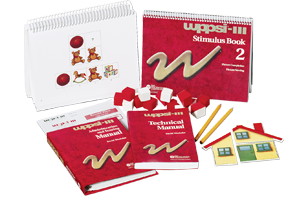 The WPPSI™-III features shorter, more game-like activities that hold the attention of children as young as 2-1/2 years. 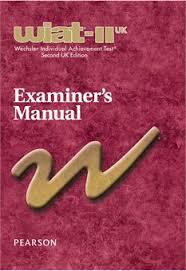 Simplified instructions and scoring procedures enhance the ease of administration for examiners. 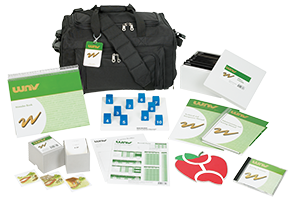 Both children and examiners benefit from the thoughtful, carefully constructed revisions implemented to build a highly respected, reliable test that completely reflects what customers and other professionals told us they wanted for WPPSI™-III. These significant improvements provide more clinically useful information for diagnosis and planning. The WTAR allows you to measure pre-morbid (pre-injury) level of intellectual functioning for individuals ages 16 to 89 years. You can administer the WTAR as part of a comprehensive evaluation and use the client’s predicted cognitive functioning scores to develop appropriate treatment plans. Content: This reading test is composed of a list of 50 words that have atypical grapheme to phoneme translations. The intent in using words with irregular pronunciations is to minimise the current ability of the client to apply standard pronunciation rules and assess previous learning of the word. Although the WCST is used primarily to assess perseveration and abstract thinking, it has gained increasing popularity as a neuropsychological instrument. It has been considered a measure of executive function because of its reported sensitivity to frontal lobe dysfunction. As such, the WCST allows the clinician to assess the following “frontal” lobe functions: strategic planning, organized searching, utilizing environmental feedback to shift cognitive sets, directing behaviour toward achieving a goal, and modulating impulsive responding. Designed for individuals ages 6.5-89 years.